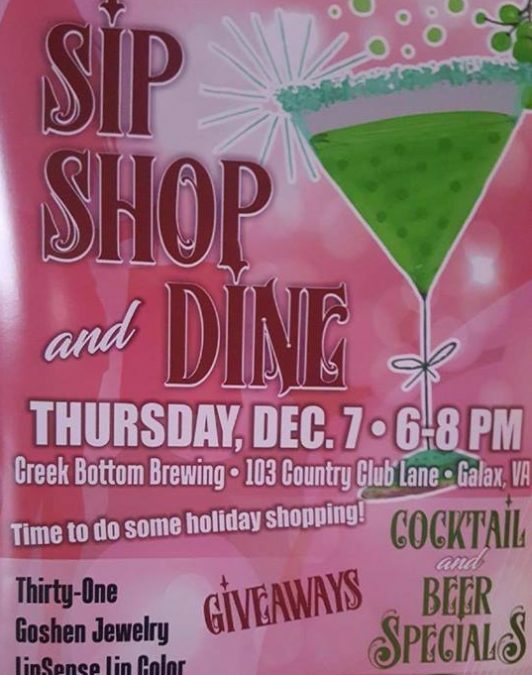 The CBB Restaurant on Country Club Lane in Galax will be hosting our second Sip, Shop & Dine event on Thursday, Dec. 7th from 6-8 pm. Come on out and get those Christmas gifts taken care of while having a wonderful time with our Creek Bottom Crew!!!! !